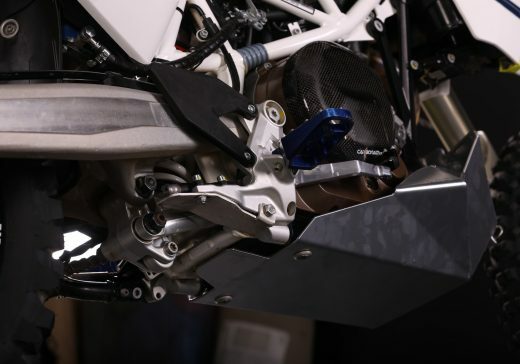 How does the KTM 690 and Husqvarna 701 skid plate works? The aluminum skid plate is covering not only the front and the bottom of the engine but also the water pump and both, brake and shift, levers! 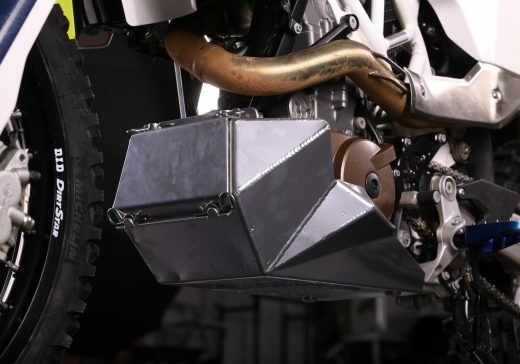 The perfect handcrafted welding is adding very high stiffness to the KTM 690 and Husqvarna 701 skid plate. It is always useful to have space for stuff you do not need every day like tools, but to go without them would be a risk. In this tool box you can fit 3x KTM OEM tool set bag so it is really spacious! It is wide enough to fit the tyre levers or ratchet. 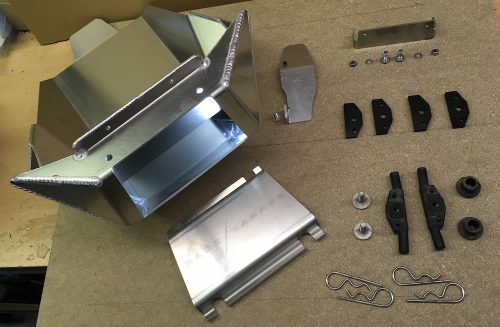 Together with the skid plate you will get also protection plate for the rear brake cylinder, which is a critical part that is unfortunately exposed from the factory. Our designs protects not just the engine but the brake cylinder on the KTM 690 or Husqvarna 701 as well. 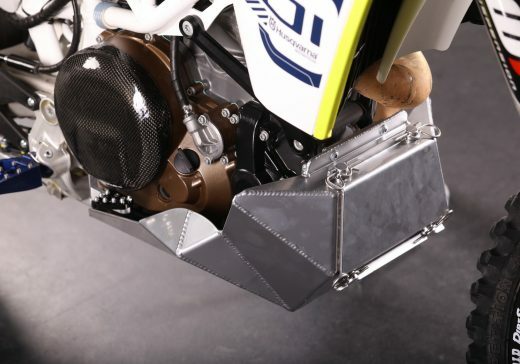 What is included in the KTM 690 and Husqvarna 701 skid plate?